Royal Canin Maxi Adult Dog Food helps promote optimal digestibility with an exclusive formula including very high quality proteins and a balanced supply of dietary fibre. It supports large breed dogs’ bones and joints placed under stress and contains enriched omega 3 fatty acids (EPA-DHA) to help maintain a healthy skin. With carefully selected flavourings, this formula satisfies the appetite and nutritional needs of large breed dogs. Complete dog feed for high palatability, digestibility, bone and joint support and healthy skin and coat. 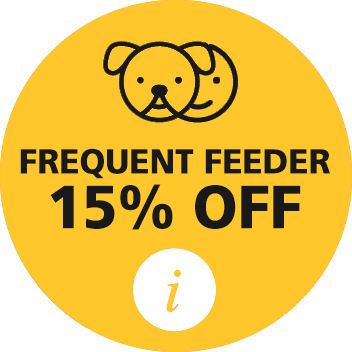 Complete feed for adult large breed dogs (from 26 to 44 kg) from 15 months to 5 years old. maize, maize flour, dehydrated poultry meat, animal fats, maize gluten, hydrolysed animal proteins, dehydrated pork protein, beet pulp, minerals, fish oil, soya oil, yeasts, egg powder, hydrolysed crustaceans (source of glucosamine), hydrolysed cartilage (source of chondroitin).ADDITIVES (per kg): Nutritional additives: Vitamin A: 10500 IU, Vitamin D3: 1000 IU, E1 (Iron): 45 mg, E2 (Iodine): 2.4 mg, E4 (Copper): 8 mg, E5 (Manganese): 60 mg, E6 (Zinc): 197 mg, E8 (Selenium): 0.08 mg, Taurine: 0.3 g - Preservatives - Antioxidants.ANALYTICAL CONSTITUENTS: Protein: 26% - Fat content: 17% - Crude ash: 5.8% - Crude fibres: 1.4% - EPA and DHA fatty acids: 4.2 g/kg.